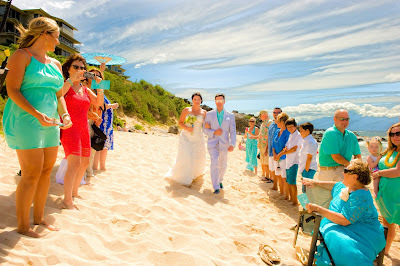 Some couples bring a large entourage with them to their Maui wedding. Sometimes these extended friends and family create a need for a semi-private venue instead of a public beach. These venues are scattered around Maui and are very reasonably priced. They offer picturesque lawns overlooking the Pacific Ocean, ample parking, great restaurants and of course, a bar. Our Maui wedding planners can supply all the information you need to have on these locations and we generally base our recommendations on where our couple is staying. All of these venues have easy access to the beach, either within walking distance or a short drive across the street, so a sunset beach photography session is always included in our semi private Maui Wedding Packages. Melissa and Tiffany allowed us to put their civil union together here on the island of Maui. On a beautiful beach below the condo they had rented, Marry me Maui coordinated a special ceremony with the help of Reverend Diana George and Maui Wedding Photographer Joe D'Alessandro. Melissa and Tiffany enjoyed a crisp Maui afternoon on the beach followed by an intimate reception in Kapalua for all their friends and family who could attend. 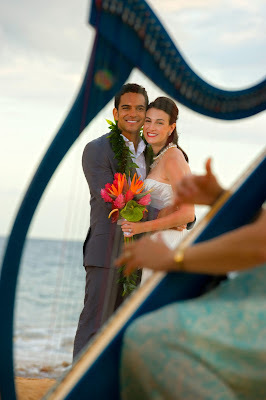 Our Maui Wedding Planners at marry me Maui can do the same for you. Thanks Melissa and Tiffany for allowing us to be a part of your special day.